When you're printing on higher-end printers, the printer driver needs information about how a particular paper will be treated by that printer's ink set. The idea is to make the image on the paper appear, as nearly as possible, as it did on the monitor. Each printing paper manufacturer provides downloadable profiles for each of its papers, matched to each of the popular printers. Often, these "generic" profiles are referred to as "canned," because they're designed to address that elusive "typical" machine. I usually work with three papers: Canson Baryta Photographique, Canson Platine Fibre Rag, and Epson Hot Press Natural. I've been happy with the output that I've been getting from all three papers using Canson's and Epson's own profiles. But, as I have mentioned before, "You don't know what you don't know." So, I decided that I would do custom profiles for each of these papers (for my Epson 3880 printer). Calibrate your monitor (Strictly speaking, profiling the paper and printer combination doesn't require a monitor calibration. But, as a part of the whole printing process, it is fundamentally important to know that what you're seeing on your monitor will serve as a predictable rendition of what will come out of your printer with a particular paper. At the end of this process, when you print out a test image, the monitor brightness, contrast and colour renditions should be as close to that final image a s possible. Test your printer's nozzles. If you're working with a hobbled printer, you will not be able to rely on any of the results that follow. Once you've printed the target, you send it to the people creating the profile, and they will email you back your new profiles. Then it's time to see how the new profile performs. To do this, it's best to work with a reference image. (The image above is a reference image reduced in size for this post. You can download the original from the ImageScience page HERE. So, after all this, were there noticeable and significant improvements? For the Canson papers, the differences between the canned and the custom profiles were minor, but my custom profiles are better. Some improvement was apparent in the skin tones. 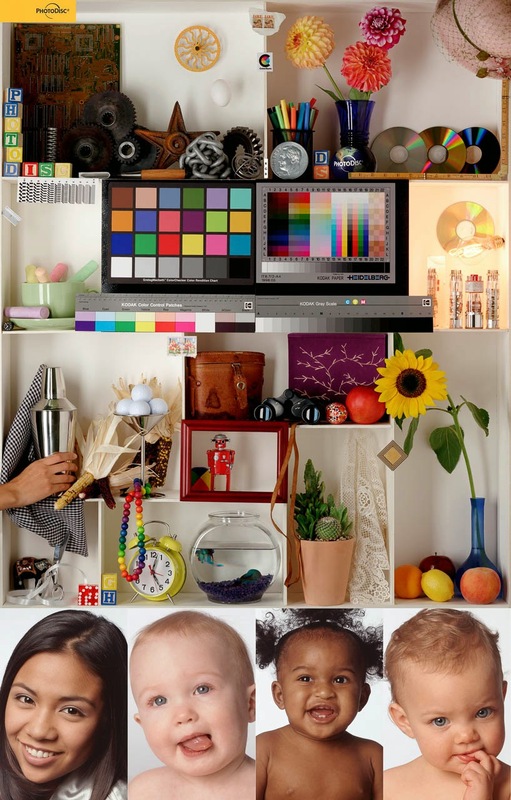 I watch the skin tones carefully anyway. So while it's good to start from the best base, the skin tone differences would probably get picked up in post. And, the red robot was just slightly brighter. If you're not sure about going with custom profiles, print out the reference image mentioned above using your canned version. If you're happy with how your profile renders it, then you're probably okay. I also have a new custom profile for Epson's Hot Press Natural. But testing it against the old profile requires switching to matte black ink. So, I'm not going to test it until I have some other HPN work to do. The Epson 3880 uses a lot of ink in the switch-over between photo black and matte black. I'll provide another post with the matte results when the opportunity arises.